Today I am reviewing the Old Mother Hubbard Classic Peanut Butter Biscuits for dogs, this Old Mother Hubbard Peanut Butter Review will tell you my personal experience and thoughts along with with Pixie & Roxy’s experience. We picked up these tasty treats in our local Pets At Home. They are new to the store and are priced at £4 as introductory and will then be £4.99 a bag. They are originally made in England but I find there website more American based as they have more variety to offer. They have soft chews, crispers and fruit centred treats. These I think are only available in America which is a shame because they are something that would sell really well over here in the UK. 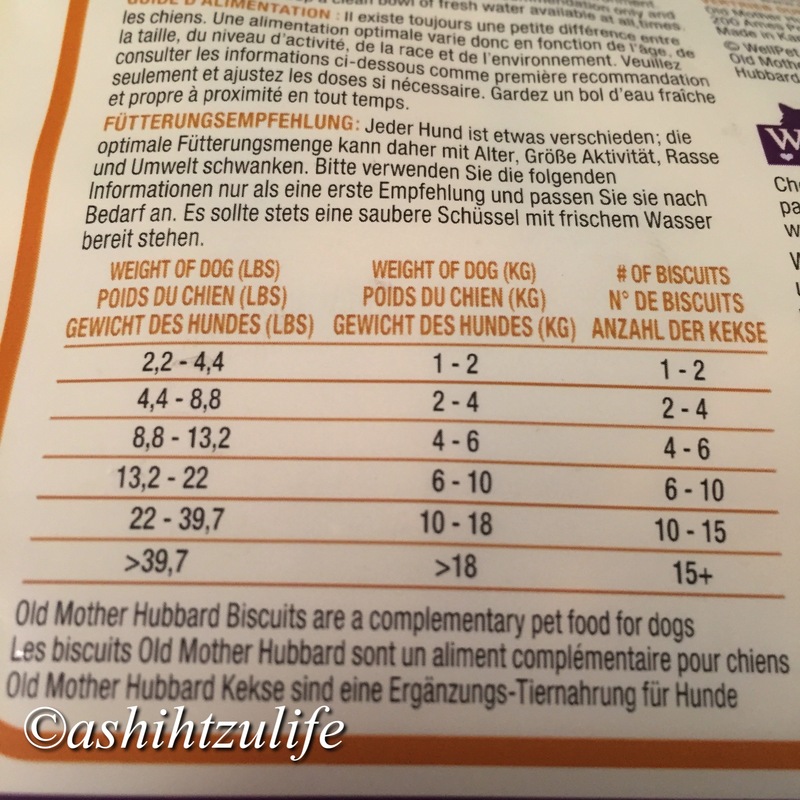 There are many flavours of these biscuits to choose from but Pixie and Roxy have a lot of chicken based treats so we thought we would try something they don’t get a lot of. We picked Peanut Butter or as the package states P-NUTTIER. They absolutely love them, they are not a hard biscuit and crunch easily. I do not use this for a regular biscuit, it is mixed with other biscuits in there bed time jar. As it is all natural ingredients I wouldn’t mind if they got them on a regular basis. Apart from being all Natural they also has no added artificial preservatives. P-NUTTIER does not only contain the main flavour peanut butter it also contains carrots, oats, peanuts and apples. Whole Wheat Flour, Oatmeal 4%, Wheat Bran, Chicken Fat, Peanut Butter 3%, Cane Molasses, Maltodextrin, Ground Peanuts 0.5%, Whole Dried Egg, Sea Salt, Garlic Powder, Dried Apples 0.05%, Dried Carrots 0.04%. Protein 14.0%, Fat Content 8.0%, Crude Fibres 2.5%, Crude Ash 2.5%. 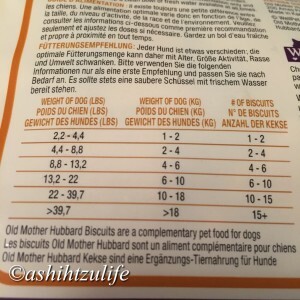 Pixie and Roxy are weighing in between 6kg and 7kg so by the looks of this it is 1kg per biscuit per day. I wouldn’t give them 6 biscuits in one day they only really get two a day if that, and this could be any treat. 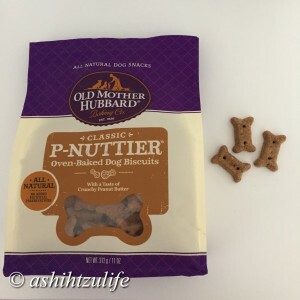 You also get a guarantee with these so if your dog doesn’t like them or it doesn’t agree with them you can return it back to the store you bought it from and they can exchange or refund. They only offer the dried biscuit flavours and don’t offer the soft chews, crispers or fruit centred treats as this is only supplied in america. though this is something I would buy. They look exciting and tasty and I think Pixie and Roxy would love them. They should bring the variety to the stores and not just dried bone biscuits.